We are committed to providing a high quality of service to our clients by our members and our clerking team. We aim to be efficient, friendly and effective. The members of our clerking team are knowledgeable, courteous and understand the needs of clients and their professional advisors. They will help identify the most appropriate counsel for each client. Because members of Terra Firma Chambers frequently appear on different sides of the same dispute they also understand the need for confidentiality and will ensure that there is a proper degree of separation which will avoid any conflict of interest. In order to check the availability of counsel, to discuss fees or any other matter telephone either 0131 260 5830, or fax 0131 225 3642. Our opening hours are from 8 am to 5.30 pm Monday to Friday. In case of emergency, outside these hours, please call our Practice Manager on 07736 313725. Our Practice Manager is Emma Potter. She joined us from the Murray Stable where she had been a Deputy Clerk since 2002 with a reputation for efficiency, reliability and approachability. 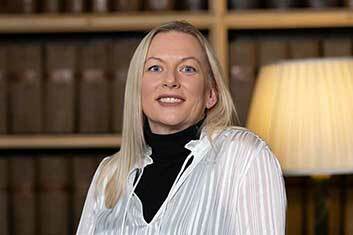 She has accumulated considerable knowledge of civil court practice over the years. Having extensive experience of responding to enquires regarding counsel and identifying appropriate advocates to meet the requirements of users, Emma understands the critical importance of this need. She is also experienced in negotiating fees and welcomes enquiries about fees. She has built many positive and productive relationships with users of counsel over the years and looks forward to continuing and developing this over the years to come. 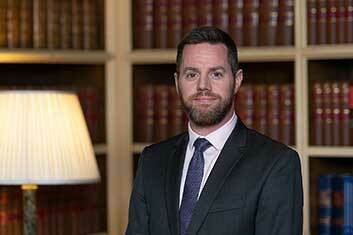 Andrew Veitch joined Terra Firma as a Deputy Clerk in 2008. He has an Honours Degree in Philosophy from the University of Glasgow and in 2015 he completed a Paralegal Qualification in Civil Court Practice. Prior to joining Terra Firma, Andrew was employed at Millar & Bryce having previously spent a number of years living and working in Australia and Canada. Tracy Whitelaw joined Terra Firma Chambers as an Assistant Deputy Clerk in January 2009. She is a qualified Paralegal, and comes to us having worked for the Faculty's Secretarial Services Department for 10 years. 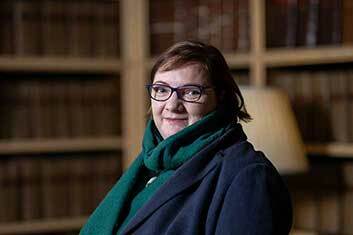 She has an in-depth knowledge of Parliament House and the work of Counsel, which will be of great value in her new role. Tracy's friendliness and efficiency fit well with the ethos Terra Firma.